Summit Valley lies east of the Cajon Pass and in between Hesperia, California, to the north and the San Bernardino National Forest to the south. The west fork of the Mojave River naturally emerges from tributaries and groundwater in the valley, however, the Silverwood Lake reservoir now controls the above ground flow. The Pacific Crest Trail traces the south-eastern portion of the hills along the valley from the Mojave River Forks at Deep Creek to Silverwood. 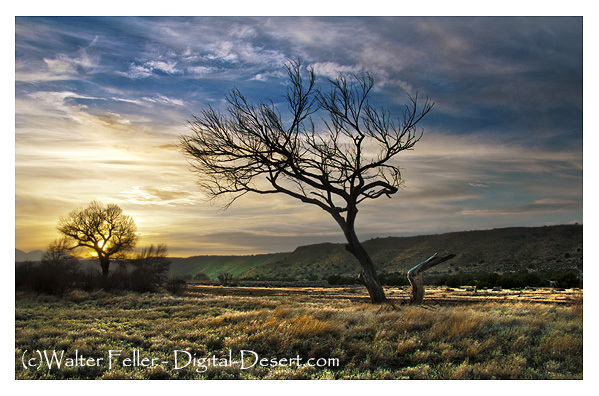 The valley lies in the transition zone between the Mojave Desert and Southern California Mountains and Valleys ecosystems. In 1776 Francisco Garces came through this valley as did Jedediah Smith in 1826 and 1827. Summit Valley is also the location of the historic Las Flores Ranch. State Route 138 is the main transportation corridor in and out of Summit Valley. Summit Valley, the west fork of the Ancestral Mojave River System. The pinnacles formations overlook the Summit Valley south of Hesperia on the edge of the Mojave high desert. Gigantic boulders piled and strewn about . More than 30 years ago the green grass and running water of Summit Valley attracted the white people who later became the first settlers here. Mr. Houghton took up a Government claim, the plan now included in the Las Flores Ranch. Cattle were driven in from Arizona to be fattened and then driven to market San Bernardino. This entire family was given over as a cattle range. The grassy slopes afforded splendid pasture lands and Mr. Houghton was well pleased. Fr. Francisco Hermenegildo Tomás Garcés, (April 12, 1738 – July 18, 1781) was a Spanish priest who crossed the Mojave Desert in 1776. 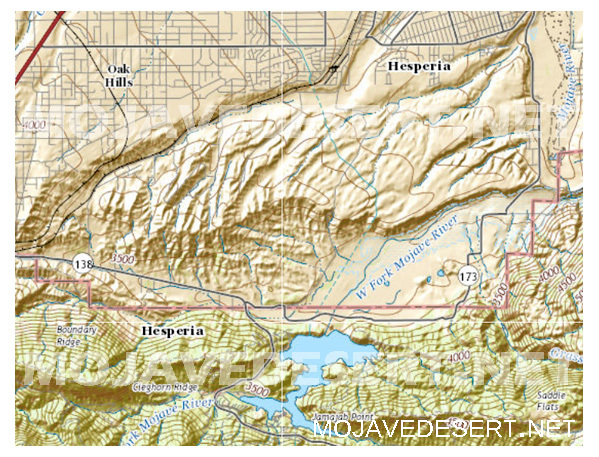 This map shows his route across the Victor Valley. Following the Mojave River after crossing at Oro Grande he walked through what is now downtown Victorville bypassing the rocky narrows and connecting back with the river near today’s Mojave Narrows Regional Park. Following the river to where the West fork and Deep Creek join to form the Mojave. Dear Sir; When I came over here three months ago, I brought four copies of Desert with me. Needless to say they have become rather dogeared as I have read them from cover to cover several times, and passed them around to my friends who have enjoyed them immensely.